Today's #1-selling study Bible contains notes that not only explain difficult passages and give information on Bible life and times but also go a step further to show how God's Word speaks to every situation and circumstance of your life! It's the one Bible resource that incorporates today's top scholarship in answering your 'now what?' questions. The Life Application Study Bible includes nearly 10,000 Life Application notes and features designed to help readers apply God's truth to everyday life. This Personal Size edition in the King James Version features a TuTone cover designed for women. The Bible's text size is 7.7pt. Life Application Study Bible Personal Size by Tyndale House was published by Tyndale House Publishers in May 2010 and is our 41787th best seller. The ISBN for Life Application Study Bible Personal Size is 9781414337524. 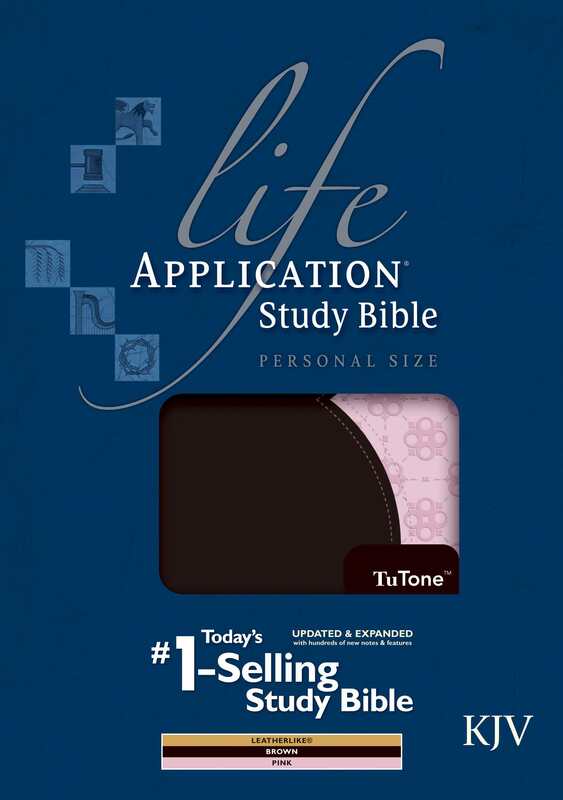 Be the first to review Life Application Study Bible Personal Size! Got a question? No problem! Just click here to ask us about Life Application Study Bible Personal Size. A:I've added the information you requested to the product page. Thank you for using the Q&A Forum.